Concrete4U has invested in an additional wagon to support its fleet of existing volumetric wagons. As the only quality accredited mix-on-site concrete producer in Yorkshire we are very excited to add to the fleet the additional vehicle to help supply our customer base and continue to offer the exceptional level of service they expect. 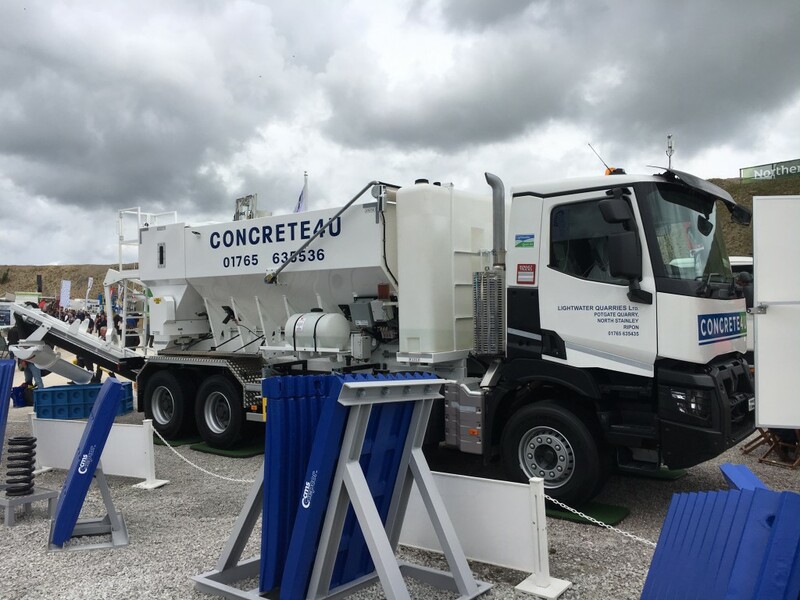 The new Volumetric is an Armcon model MCD10MX-150 mounted on a Renault chassis with a load capacity of approximately 9m3 and a discharge swivel chute which allows the chute to swivel 360⁰ from the point of discharge making for easy placement of concrete. The wagon is also fitted with a digital ticket printer to show material usage so we can ensure customers are really getting excellent value and only paying for what they use – also a must to maintain our BSI quality accreditation which is a further guarantee to our customers of the exceptional quality and service we can deliver. “BSI Accreditation means that we have been assessed against internationally recognized standards and operate to the highest levels of quality and service – providing further assurance to our customers that the certificates we have been issue are both credible and impartial.